If you are like me, you aren’t overly excited by tax time. The thought of paying in more money is so depressing that you are probably digging through every receipt trying to figure out how you can write off that last Ice-cap from Tim Hortons as a diabetes-related expense. Here are a few tax tips that you may have overlooked. If you have paid out of pocket for these items or a co-pay after insurance, make sure that you have a prescription for them. You can claim the cost of travel to medical appointments. In Canada you must travel at least 40 km one way to get to your appointment. Make sure that you have a signed letter from the office before you leave stating that you have been there. You will then be able to deduct the cost of public transportation or vehicle expenses. If you must travel over 80 km one way, you will also be able to claim the cost of meals. You are allowed up to $17 per meal up to a maximum of $51 per day. You can learn more here. Finally, you can also claim your accommodations and parking fees for travel over 80km. Again, make sure that you have a letter stating that you have traveled for medical appointments. In the US, you can deduct 23 cents per mile in lieu of gas and oil, plus any parking fees and tolls for travel to medical appointments. If you take a taxi, bus, train, airplane or ambulance you can deduct the actual expense. You can deduct the cost of any accomodations, but unlike Canada, you cannot deduct the cost of meals. In the US, these expenses must exceed 7.5% of your gross annual income. The amount will rise to 10% in the 2019 tax year. For those living in Canada, medical expenses must be above the lesser of $2,208 or 3 percent of your net income. If you live in the USA, you can also save by contributing to a Health Savings Account (HSA) or a Flexible Spending Account (FSA). These accounts are managed by financial institutions and accessed in the same way as you access your chequing account. Both a Health Savings Account and a Flexible Spending Account are made up of tax-deductible contributions with pre-set contribution limits. Contributions can be set up through your employer. Both accounts also share the same list of “qualified expenses”. The difference, however, is in who is eligible. Anyone can contribute to an FSA but only those with a high deductible ($1,350 or more for an individual or $2,700 or more for a family in 2018) health plan are eligible for the Health Savings Accounts. In Canada, we do not have Health Savings Accounts. We do however have a Registered Disability Savings Plan. To access this plan and the associated government grants, you must first apply for and be approved for the Disability Tax Credit (DTC). The DTC is a non-refundable tax credit that reduces your taxable income. To qualify, you must be insulin-dependent and spend over 14 hours per week on your care. See if you might qualify for the DTC here. To make sure that you have all of the receipts you need, download our checklist before you start your tax return this year! The DTC…We have come a long way. We will win the war! The past few weeks have been incredibly busy and I have never been more proud! I have been battling the Federal government over the Disability Tax Credit since the early 2000s. There have been victories and most recently there have been setbacks but we have come a long way!! Let me give you a bit of history. Back in 2002 or so, a lady named Shelley Tyler took the Canada Revenue Agency to court and won. She believed that her son was eligible for the Disability Tax Credit because they took an inordinate amount of time to feed him and keep him alive. Her son had type 1 diabetes. Mrs. Tyler was kind and shared her experience with others. I used some of her work in preparing my own application. Others did as well. More and more families were applying for the Disability Tax Credit. They were still being turned down, but even more where refusing to take no for an answer. They were taking their cases to Tax Court–and winning! Families like the Chafes were winning the argument that insulin therapy was administered 24 hours a day when using an insulin pump. This led to a year of qualification for all pumpers. Changes were happening. The diabetes community was roaring. We were a grassroots group. The Canadian Diabetes Association was only in the infancy of creating a dedicated Advocacy Office and JDRF was focused on funding research. That was okay because the diabetes community was powerful in its own right. Together we rallied. We worked on court cases. Friends and family members contacted their MPs and demanded fairness. The diabetes community was represented at the Federal review of DTC fairness. The result was legislative change. Children with diabetes were now given the tax credit based on a certified diagnosis of type 1 diabetes. Adults were also allowed the credit but their means test was a bit more strict. Recently there seems to have been a change in how disability tax credit applications are handled for people with diabetes. We have discussed it before. One thing hasn’t changed however and that is the power of the diabetes community. Thanks in part to the power of social media, the community voice is louder than ever and I couldn’t be more proud! The message is getting out there. This issue was all over the media. My Twitter feed has been blown up with articles and Tweets. I am proud! The diabetes community is coming together. Some members have voiced their frustration. This should have been finished years ago. People living with diabetes have enough to deal with. Fighting their government for a credit that they obviously qualify should not be another stressor. They are right of course. I totally understand their get their pain. I have been in this battle since the beginning. It’s been a long one but please don’t lose hope! This is not a war that is lost. It is a battle that will see victory. 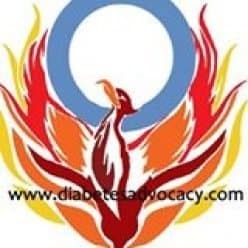 The diabetes community is a powerful voice. Canadians with diabetes are coming together in record numbers. We are using that voice to let CRA and the Minister of Finance know that we are not prepared to back down. Now is the time to keep the momentum going. Write your letters to your MPs. Answer the call when one of the diabetes organizations calls looking for your story. Our voice is strong. We have come a long way and together we will finally win the war. Posted on October 25, 2017 January 8, 2019 Categories DTCTags Advocacy, diabetes, diabetes awareness, diabetes tax credit, disability tax credit, federal tax credit, insulin dependent diabetes, tax credit, tax relief, type 1 diabetes3 Comments on The DTC…We have come a long way. We will win the war!